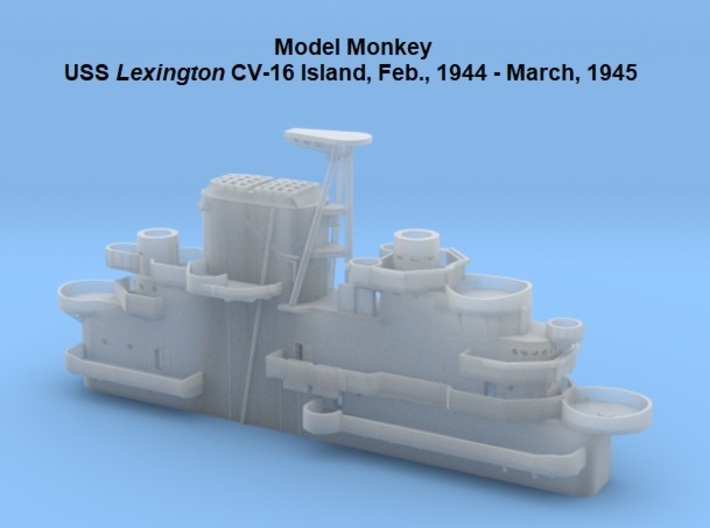 This model represents the island of the Essex class aircraft carrier USS Lexington CV-16, the "short bridge" configuration, as it appeared circa February, 1944 through March, 1945, following modifications made at Bremerton, Washington. 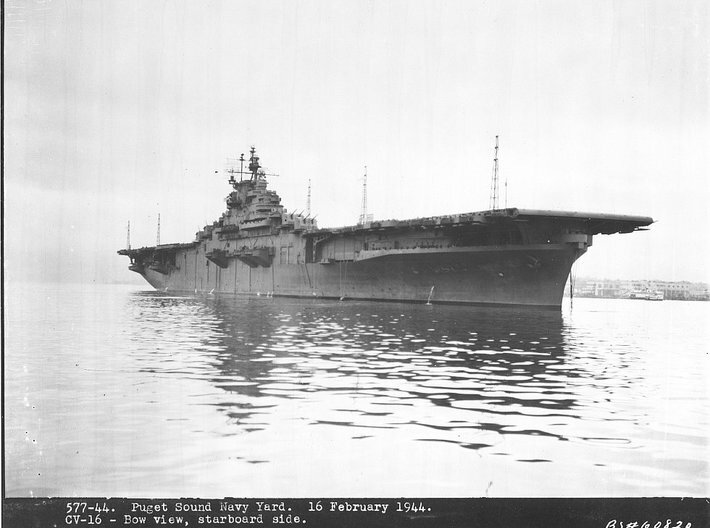 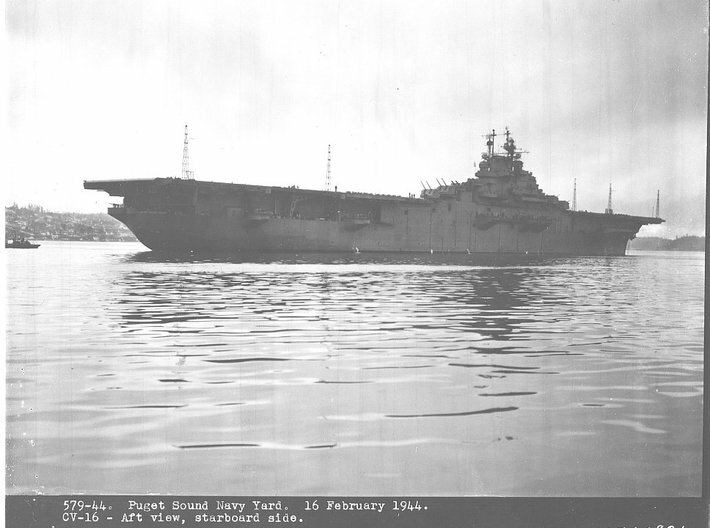 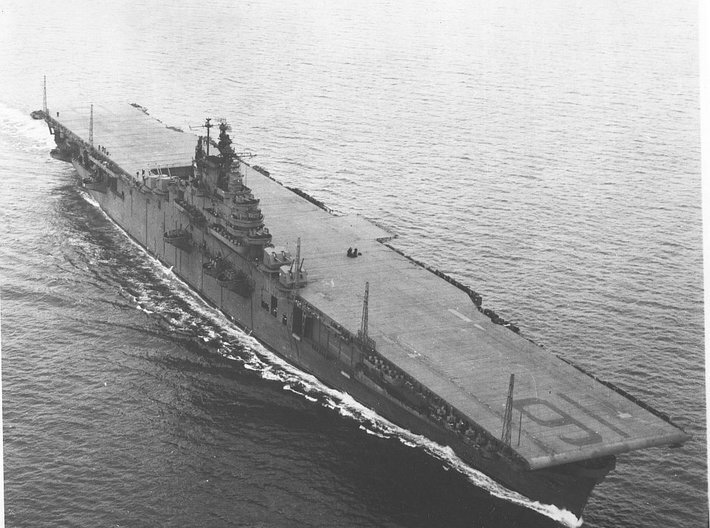 Lexington's island was in this configuration during the Battle of the Philippine Sea, also remembered as the "Great Marianas Turkey Shoot". 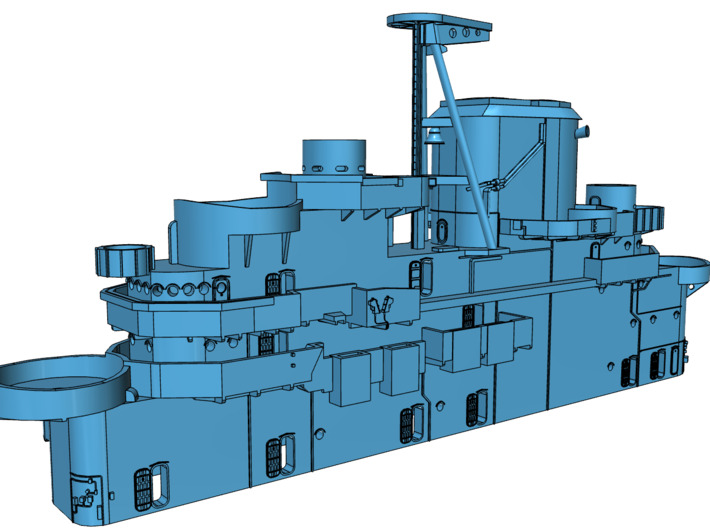 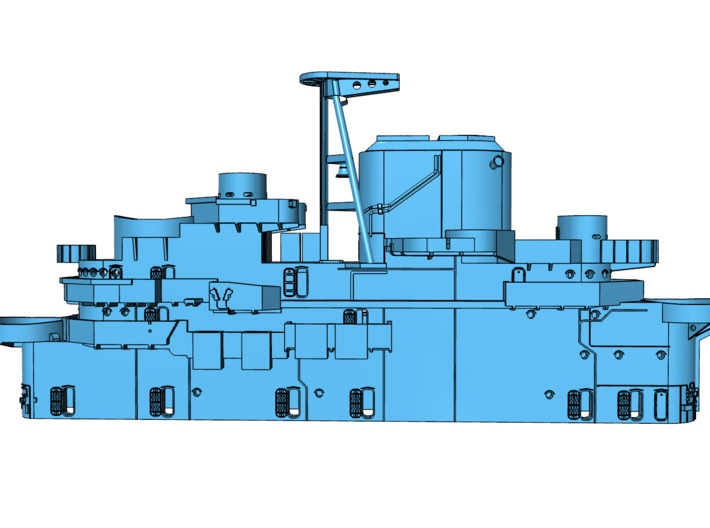 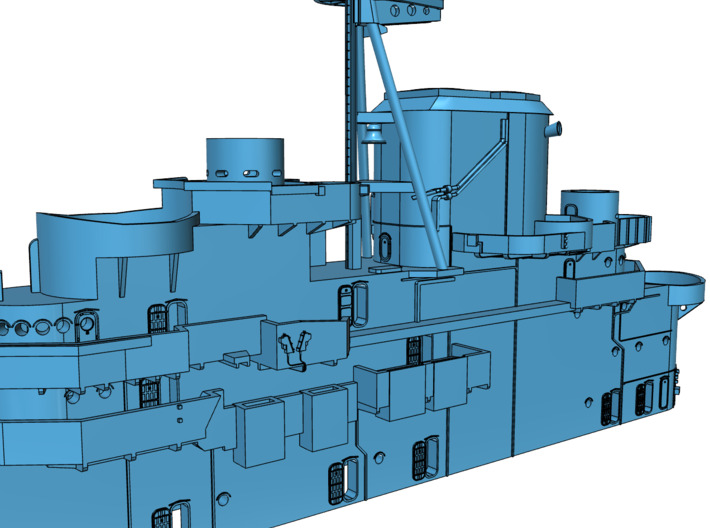 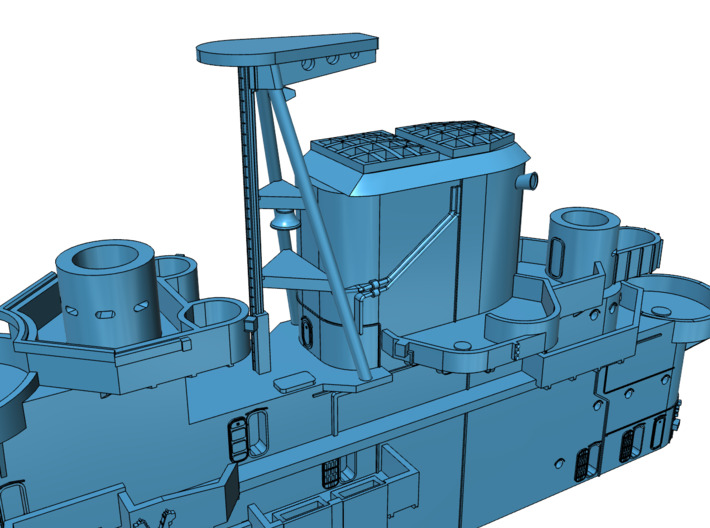 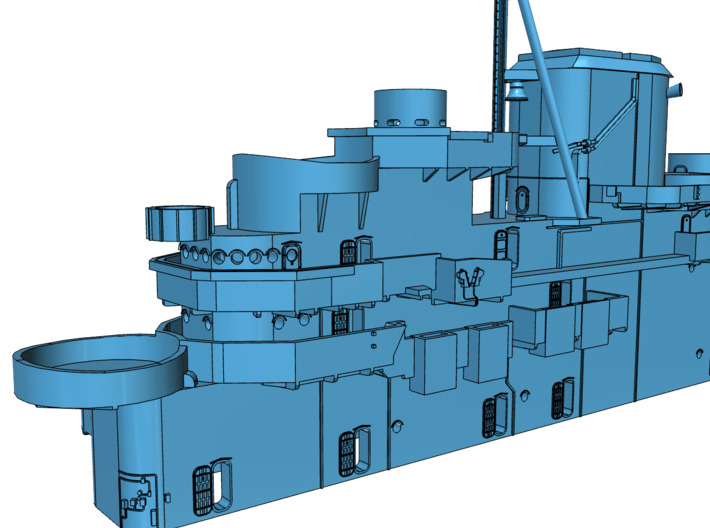 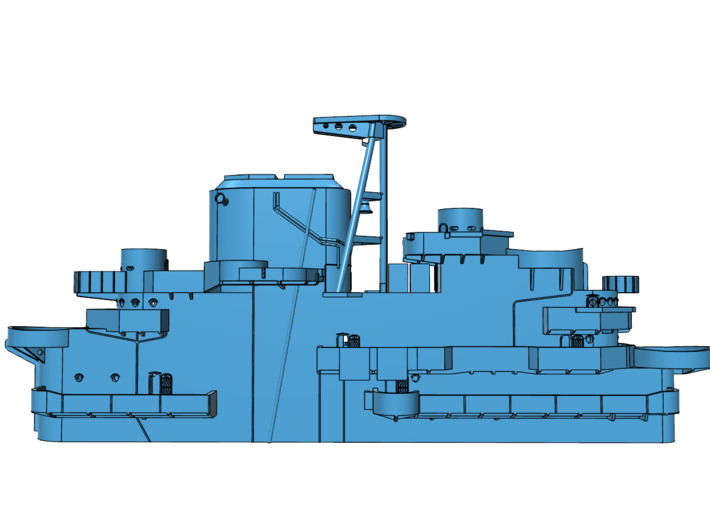 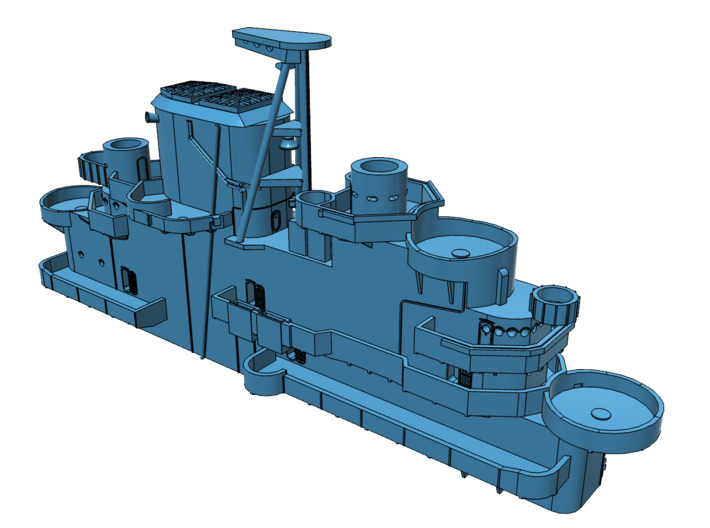 Changes from her as-built configuration include an additional port-side catwalk connecting the flag bridge to the flag locker platform, and her island's starboard-side Oerlikon platforms were enlarged to provide positions for three Mk.51 directors associated with three new Bofors tubs fit the starboard side of the hull below the island. 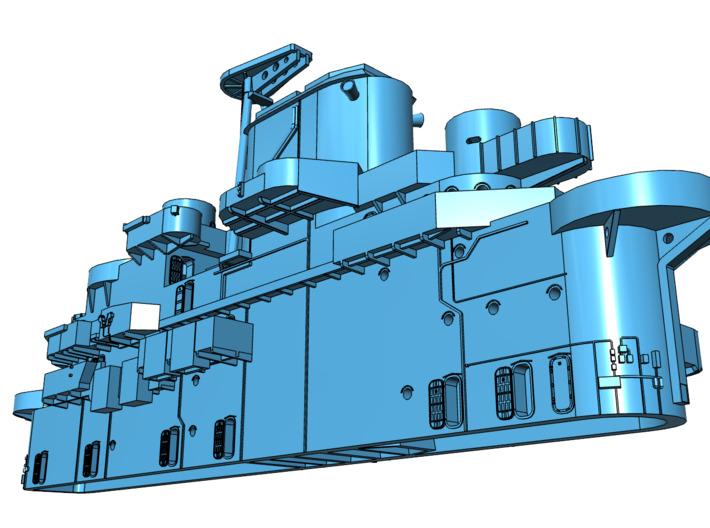 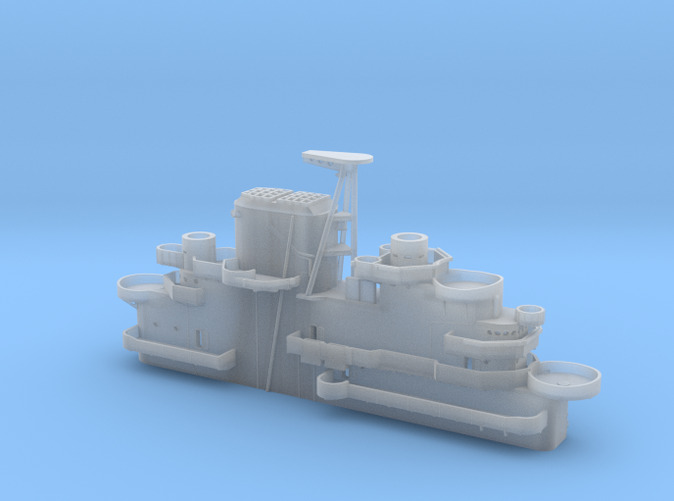 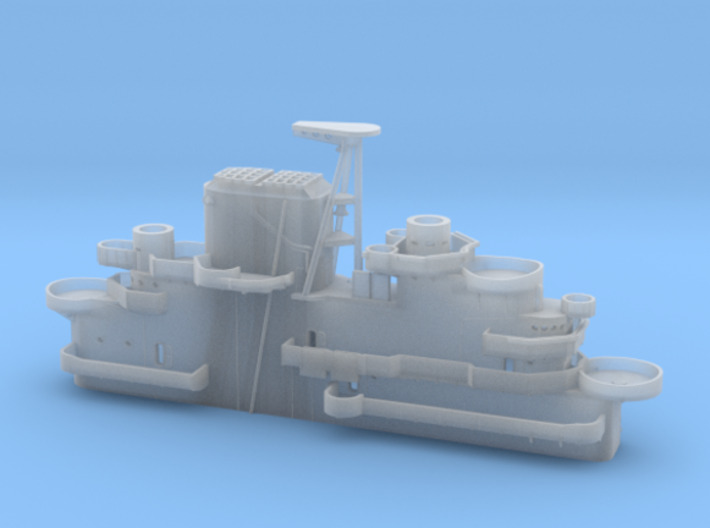 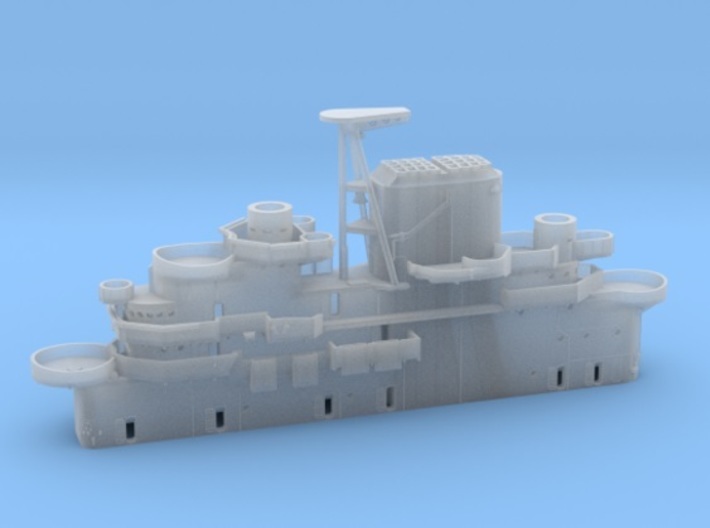 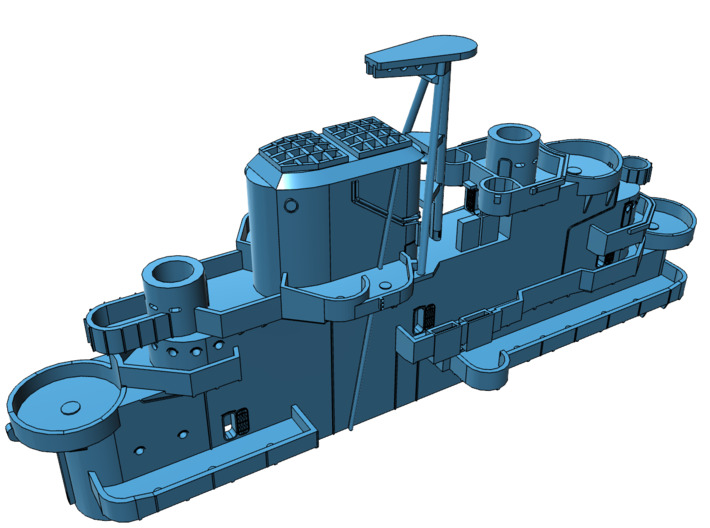 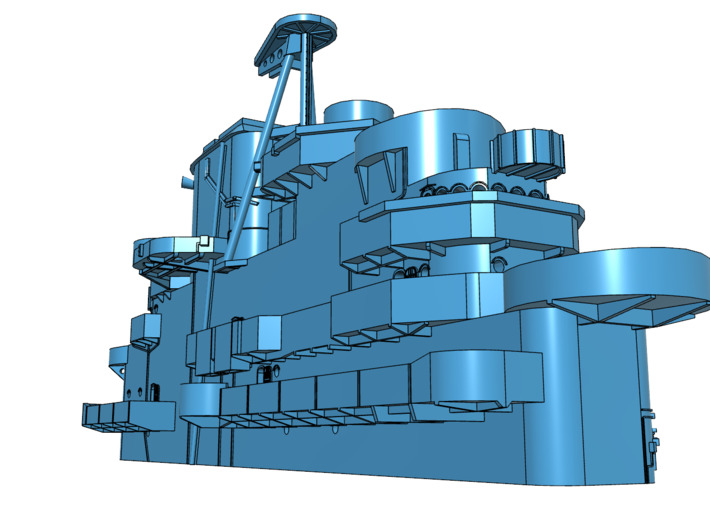 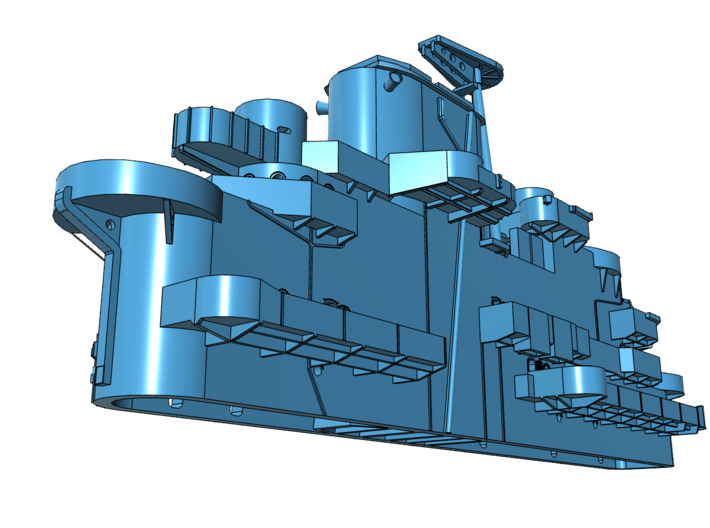 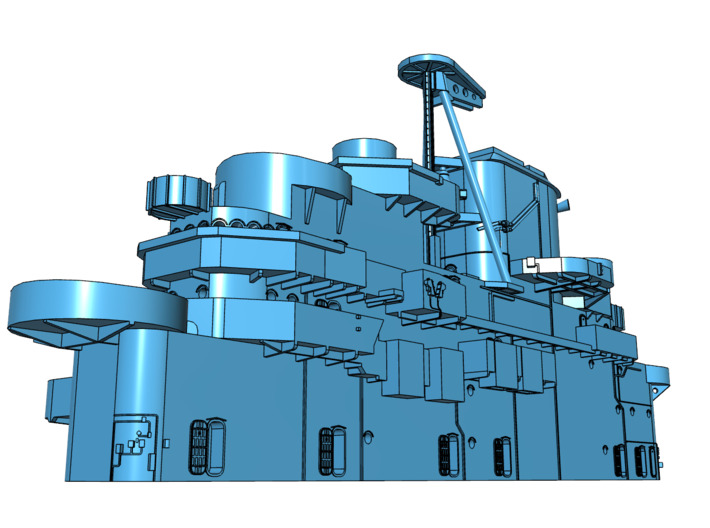 This design captures features specific to USS Lexington, differing from other 3D-printed Essex class aircraft carrier island designs available separately.